Problem: Make a set of metro-theme postcards. 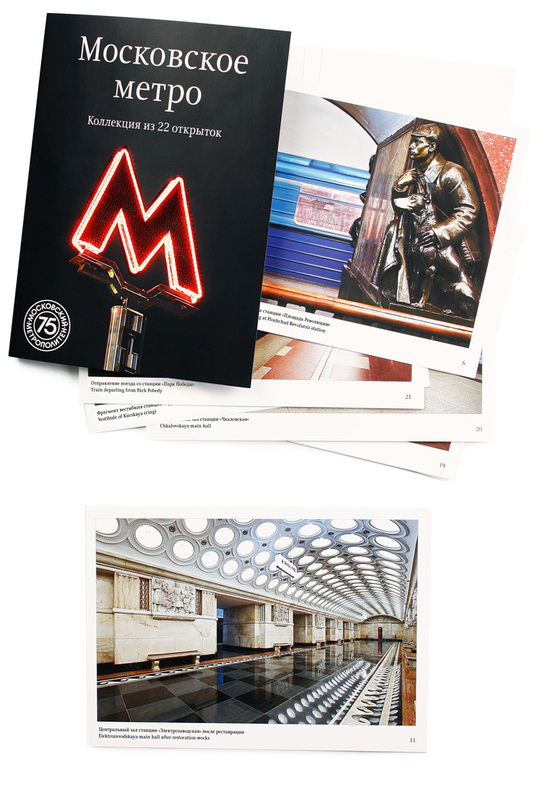 In 2010 the Moscow Metro turns 75. For the occasion we designed a set of 22 postcards. There are photographs of old and new stations, statues at the platforms, the interiors and tunnels. Each postcard has a story of the depicted station on the back.